Any Brides to be out there? 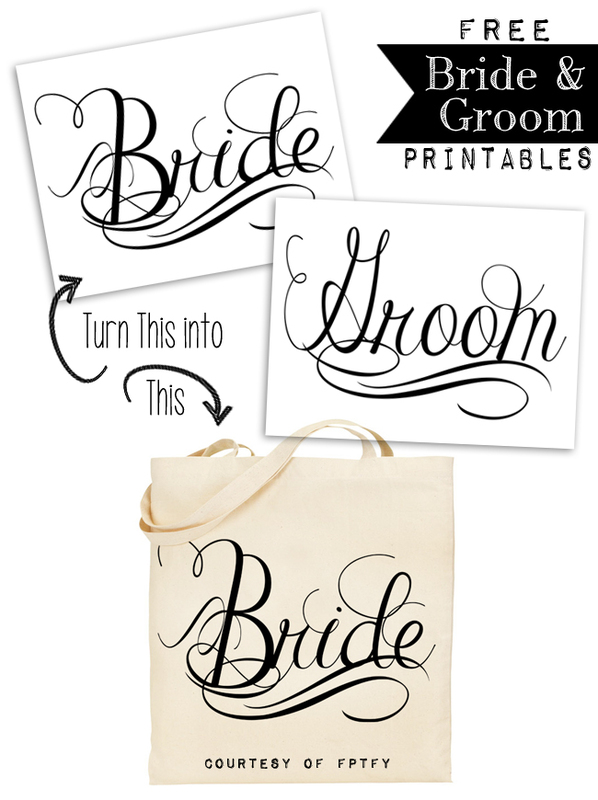 Here’s a gorgeous set of free calligraphy inspired Bride and Groom wedding printables, that could be used for making signs, totes, shirts, hoodies, mugs or anything else your pretty little head can think of! To download Click Here for the Bride and Here for the Groom printable! Just in case you have never transferred an image and don’t know how to flip and image.. Here is a simple tutorial on how that’s done. Wishing you all a happily ever after! Whoso findeth a wife findeth a good thing.. Thank you for the pretty Bride and Groom printables. I enjoy your free pretty things….you are so talented and so kind to share! Hi Keren, hope you’re having a wonderful day. Is it showing any Fall where you live? :Today it’s raining all day and cool enuf to turn our cooler off, open doors. I get very tired of being closed in all summer then all winter. Our Spring is usually quite brief if we even have one. Fall lasts a bit longer thank heavens. Thanks so much for the beautiful calligraphy wedding words. I also had to save the bike and home sweet home transfers. Need to get my sewing machine threaded so I can make some more cushion covers. Hope you have a great week. I can’t even go down to shed to get some of my Fall stuff as due to the rain it’s like a mud bog where shed is. Bummer. Had to go back to download that adorable bird, so cute. I’m a bird nut so will be making things with this. Just have to wait til I can get more transfers, phewy are they expensive, even at Walmart. I have some metal flower holders think I might just have to print bird out on card stock, put it on one of the flower holder, so cute. Thanks for the adorable bird. Gorgeous as usually my friend!!!!! I think these are going to be helpful transfers for many happy brides!!! : ) sending hugs and give Mom a hug for me when she comes in! : ) Love to all! What a neat project. I absolutely love the calligraphy lettering. Thanks for sharing another way awesome freebie!! Just wanted to say Thank You. My BFF’s son is getting married in July and I have decided to do a homemade gift in the form of a honeymoon picnic basket and think I will do these on pillow cases for small travel pillows to go in the basket with the blanket, champagne, glasses, and treats.